Joe Dinoffer has had an extensive "world class" career in the tennis industry, and has conducted clinics and exhibitions in over 50 countries, personally logging over 30,000 hours of instruction in English, Spanish, and German. He is a Master Professional in both the PTR and USPTA, a distinction awarded to only a select few in the tennis industry. Joe also received the prestigious 2006 USPTA Tennis Industry Excellence Award and was also selected as the 2012 USPTA Texas Pro of the Year. Joe's Full Bio can be read here. 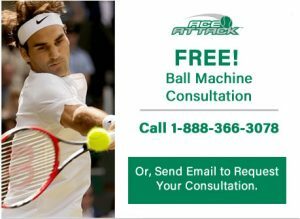 © 2017 Oncourt Offcourt, Ltd. is World-wide Exclusive Distributor of Ace Attack Tennis Ball Machine. All Rights Reserved.